NetworkTables is an international event technology company that helps meeting the right people at events and makes networking more effective through a user-friendly online solution for table seating, session registration and 1-on-1 meetings. 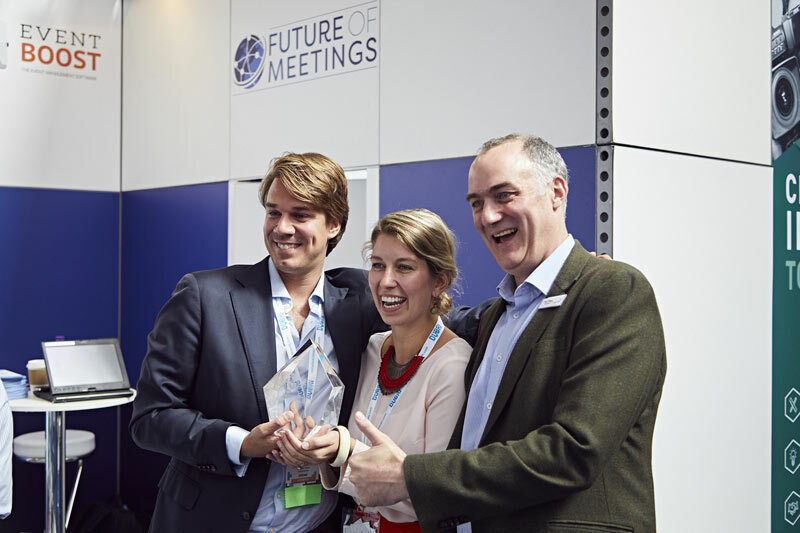 On June 28, NetworkTables founder Matthijs Otto and co-owner Querine Lap proudly received ‘The Future of Meetings Award’ for the second year running during The Meetings Show in London. The winner was determined by an international audience of event organizers that voted for the most innovative event tool. Last year, the company NetworkTables also won the ‘Future of Meetings Award’ and in 2016 the Event Technology Award for ‘Best Technology for Building Event Attendance’. Since 2017, NetworkTables is a partner of Bea World Festival. Last year, over 480 valuable connections were made through the online tool. Therefore, this year NetworkTables will be present again to help participant make the most out of the several networking opportunities provided. Bea World will offer the possibility to all delegates to select a lunch table according to a topic that will be discussed at this table. Through the online NetworkTables tool, it will be possible to see who is already seated at which table and select the preferred “Star Talk and Lunch” table. In addition, it will be possible to discuss a specific challenge with one or more experts during the “Pick-a-Brain”. The NetworkTables algorithm will generate a personalized time-schedule to meet the speakers and jury members during 15-minute 1-on-1s. The Future of Meetings is feature created in partnership with the Meetings Design Institute, giving visitors a taste of tomorrow’s technology and the latest tools being launched for meetings and events. “It is a great tool to simplify networking at events. It is easy to use and functional” said Maarten Vanneste, President at MDI. NetworkTables is growing fast, the online event tool is used by event organizers in over 39 countries to increase show-up rate, save valuable time and solve complex event management challenges such as meeting schedules. Taiwan is one of the last countries added to international list.